Dental implants provide a long term solution for replacing missing teeth. More and more people are opting in for dental implants - and they have an overall success rate of 95%. Unlike fixed bridges or removable dentures, implants will not affect your neighboring healthy teeth ore lead to bone loss in the jaw. These dental implants, made of titanium metal, are embedded into your jawbone - just like natural teeth. During a minor surgical procedure, your dental implant is inserted directly into the jawbone in the space vacated by the missing tooth. It will then be left to heal for a period of months before the final crown is attached. During this healing period, the implant actually fuses to the bone surrounding it - this process is called "osseointegration". Because of this process, implants never slip! Wondering what the differences are between Implant Supported Teeth over the other options? 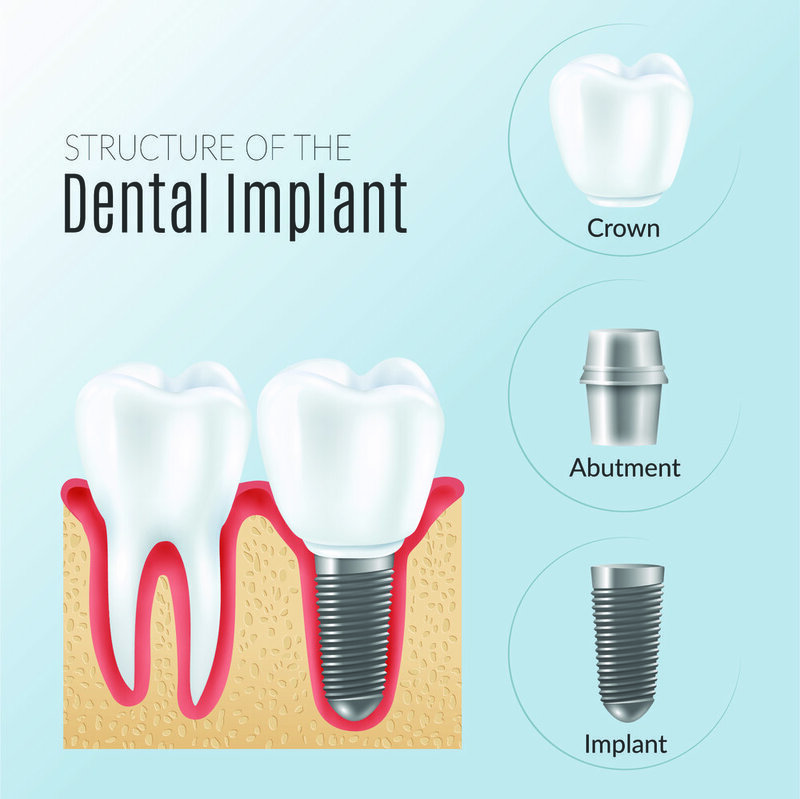 If you would like to know more about dental implants or want to talk to Dr. Sharma more about this procedure, do not hesitate to give our office a call and schedule a consultation! Wondering if Dental Implants are right for you? In these videos, Dr. Sharma goes over the effects of having a missing tooth, or teeth, and what your best option is for tooth replacement. Missing a tooth or several teeth? Dr. Sharma explains the effects a missing tooth can have on your mouth and overall oral health. There are several options to replace a missing tooth. Dr. Sharma explains these options and which is the best choice.